Köstlich, Dein Brot! Und dann wieder das wunderschöne Brett. Mmmmm. oh, this is so great. 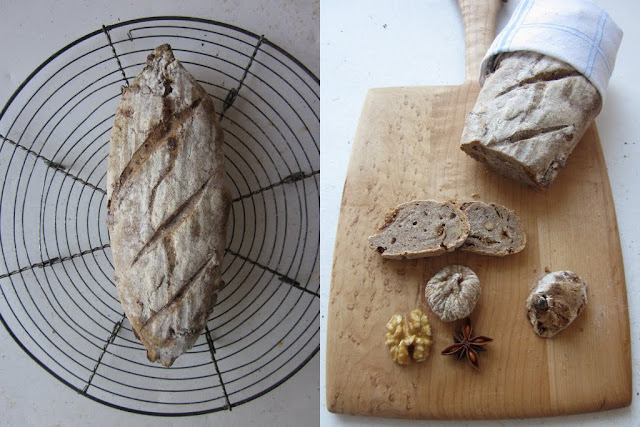 you can make this kind of bread! i love this kind dark bread a lot and buy it often. i eat it with rasberry jam(something littel sour)taste very good. how do you eat it? would love to know. by the way, looking forward to see your own mix of herb tea. i thought you deserve a recognition too for making beautiful post like this. i have an award for you.